Congress has given the IRS authority to impose sanctions, other than revocation of exemption, to public charities for improper conduct. The statute imposes a tax on “disqualified persons” and others who are in a position to “exercise substantial influence over the affairs of the organization” for any benefit they receive from the organization in excess of what they gave for the benefit. In most cases the statute is used to recover excessive compensation or other perks. An excess benefit transaction is one in which the charity, directly or indirectly, gives an economic benefit to a disqualified person which exceeds the value of the consideration received by the organization in return. This also includes the performance of services. Additionally, a benefit shall not be treated as compensation for performance of service unless the organization clearly states its intent to treat the benefit as compensation when the benefit is paid. Payment of reasonable expenses for board members to attend board meetings. However, this does not include “luxury travel or spousal travel”. Benefits provided solely as a member of, or a volunteer for, an organization if they are provided to members of the public for a membership fee of $75 or less. Benefits provided to disqualified persons solely as a member of a charitable class in furtherance of a charitable mission. Payment of premiums on an insurance policy covering any taxes that may be imposed under this statue will not be considered a benefit if included in compensation. The fair market value of the property must be used to determine the value of the benefit. Organizations are required to self-report excess benefit transactions on their Form 990. However, the IRS also has the ability to investigate without the self-reporting. The initial tax imposed on the disqualified person is 25 percent of the amount of the excess benefit. 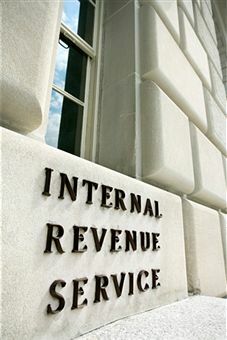 There is an additional fine of 200 percent of the excess if the excess benefit is not corrected before the IRS mails a notice of deficiency for the tax or the date on which the tax is assessed. A separate tax is imposed on organization managers who knowingly participate in the decision to approve an excess benefit transaction. The tax is 10 percent of the excess benefit, not to exceed $10,000 for each transaction. The correction of the excess benefit can normally be achieved by paying back the excess amount, plus interest, or making the organization entirely whole and protected against any loss.